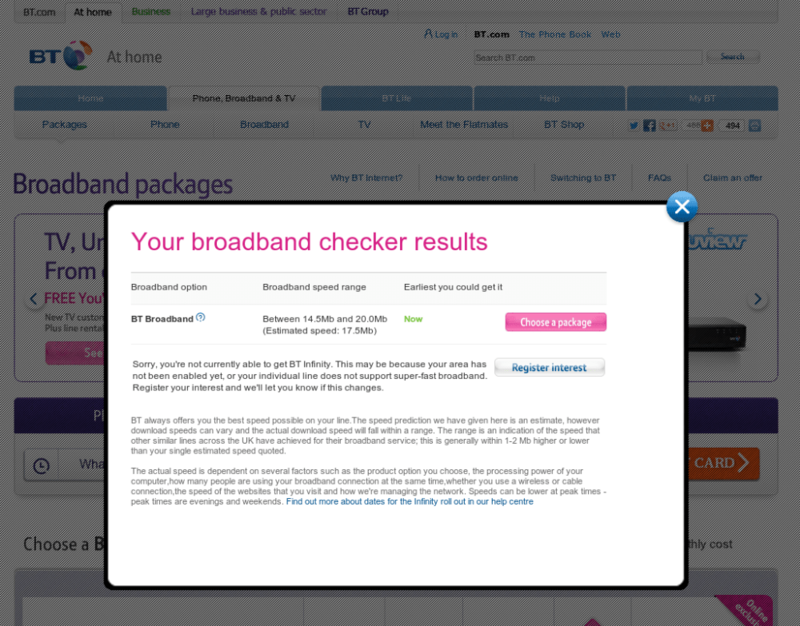 Author NicoPublished on 2 February 2013 25 February 2013 1 Comment on Shame on you BT! 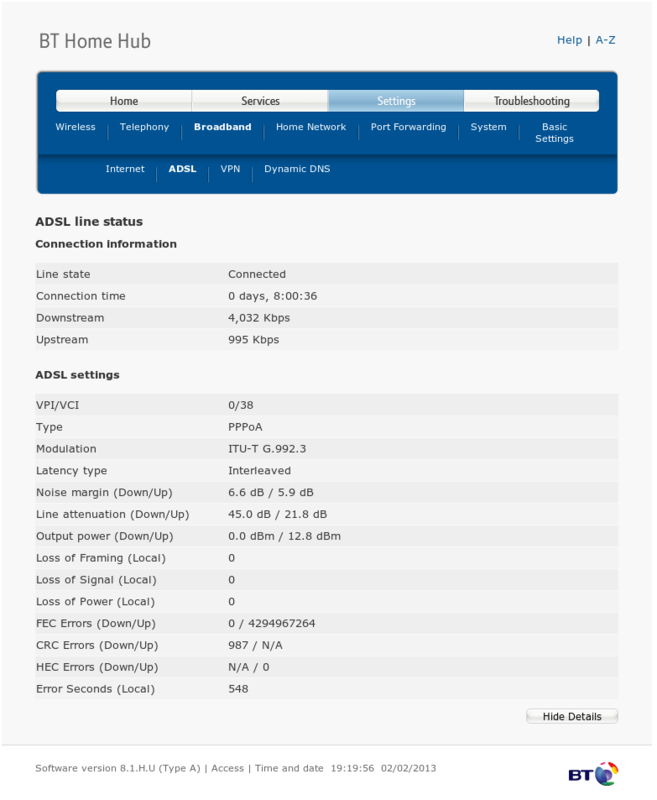 BT has my Internet provided by a 10 years old aDSL2 (G.992.3) DSLAM! No wonder I'm getting sub-par line synchronisation speeds (4 Mbps) considering where I live. I am less than a kilometre from my exchange. I am being stalled by customer support with the usual profile reset and line stabilisation BS. "Please wait up to 10 days"... There is of course no way to get to talk to anyone with a clue beyond the useless and off-shored level 1 guy who has absolutely no margin available to him for any kind of initiative. This makes for very frustrating discussions. It won't get any better until I'm switched to more modern equipment (aDSL2+), which my exchange apparently has plenty of (and fibre too, why is there no one trying to sell it to me?). aDSL2+ should realistically give me speeds close to 16 Mbps. An improvement factor of 4 is nothing to sneeze at! This is drifting from useless level 1 support into bad commercial practice territory. BT is being cheap by having me connected to old equipment that should have been upgraded/binned years ago, and is now hiding behind the usual line quality and distance argument. Not a good thing to do to a client paying the premium price, it sounds way too much like an organised rip off. Going nowhere with the first level support guys, who could only offer to "reset the profile", I finally sent a nastygram to BT's complaints department, with a detailed account of the situation and not so veiled threats of taking the affair to specialised web sites and other consumer rights groups. 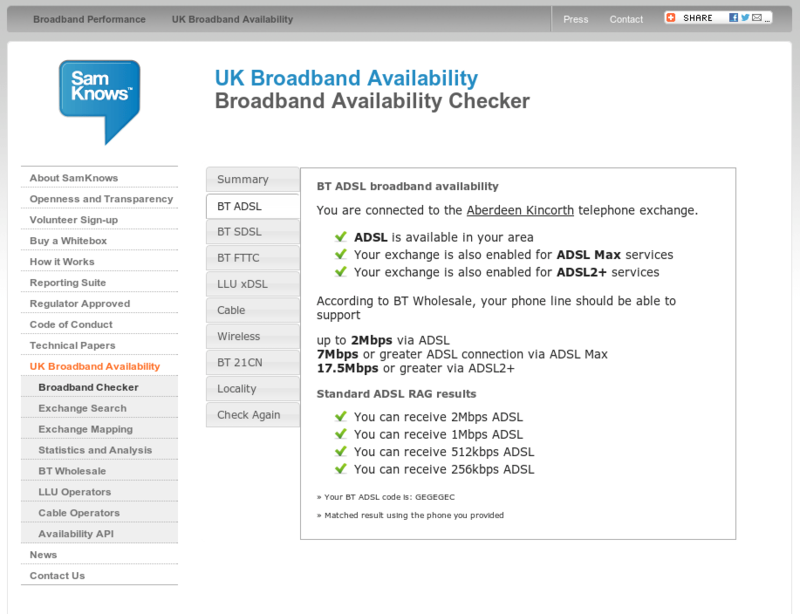 I received a phone call within 24h, got an appointment with a BT OpenReach in the next 48h. The appointment had been set for the 23rd. I received regular update phone calls in the mean time, making sure that I was not forgotten. The engineer came, and voila!, sync speed at 18 Mbps! Well look at that, 18 Mbps sync and the right aDSL technology! I have also received the confirmation that the exchange is rolling out fibre-based Internet and that it should reach the distribution box in my street pretty quickly, giving me a near-certain 80 Mbps. I can't wait! I received a phone call today as a follow up, where I managed to get a free upgrade to the new router, the one I have has a very dodgy WiFi and needs regular resets. The next step, once I have the WiFi sorted, is to go through the financial compensation negotiation. I'm becoming a much happier bunny! Previous article:Happy New Year! – Bonne Année ! 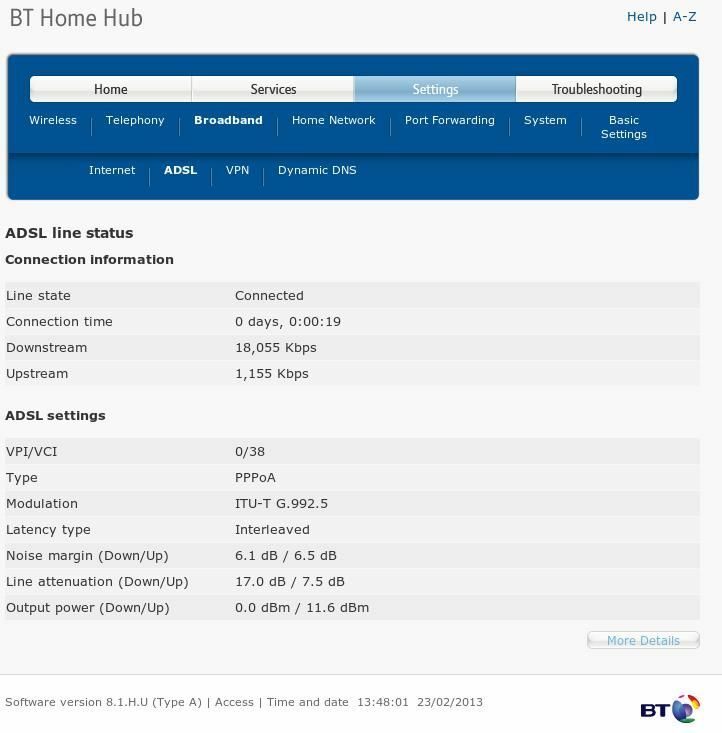 23 Feb Update: Well, the BT OpenReach guy passed by, and guess what, I now have aDSL2+ and 18 Mbps bandwidth!